Having your first ever garage door installed? Maybe you should consider taking some time to observe the installation process. There are also things that specialists from garage door repair Woodinville recommend. It is advised to check the door carefully before releasing the technicians on their way. Is the door working smoothly? You have to feel it yourself. Try closing and opening the door yourself to know if it is really solidly installed. The garage door hinges should not produce noises. If you have a roll up door, the springs should not show any sign of weakness. They should make the closing and opening process smooth and easy. Moreover, there should be no defects on the panels. There should be no dents or deformations on the garage door tracks. Also, examine if the locks are working as expected. Inspect the newly installed door meticulously to have any defect quickly rectified. Does the garage door opener run the way it should? If you have a door opener installed, you have to make sure that it works properly. You also need to ensure that its auto reverse feature is present. The auto reverse feature is something that is compulsory in many jurisdictions. 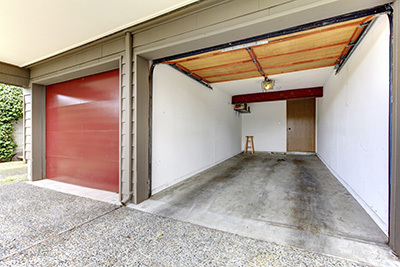 It is a feature designed to prevent accidents involving garage doors. It makes the door reverse direction once it hits an obstruction as it closes. Additionally, you need to ascertain that sensors are working fine. There should be no unusual noises or sudden pauses while the door closes or opens. Do you have the warranty documents? Most doors come with warranties. You should be able to get a document that indicates your claim to such warranties. Especially when you have automatic door operators or openers installed, you should get a copy of the warranty document or slip. Most companies will look for a warranty slip or any document that can prove that you have a rightful claim to discounted repairs or servicing. Be sure to keep all your documents. Also, make sure that you report defects in the door as soon as possible. Warranties only cover a certain period of time. If you belatedly report problems, you may no longer be able to get the repair or replacement.